We have teamed up with Physicians for Peace, Montero Medical Missions and have traveled on our own to provide prosthetic services to those in need, in developing countries. Our goal is to train and educate the local practitioners in their respective countries on the latest in prosthetic care. 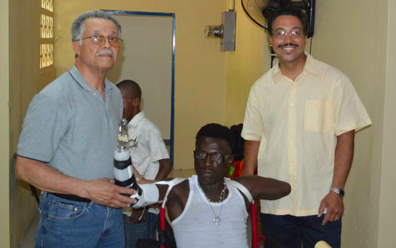 The goal is to create sustainable prosthetic and orthotic healthcare. 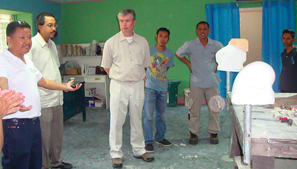 American Orthotics and Prosthetics Center has been involved with Physicians for Peace Walking Free program since 2008. Owner of AOPC, Michael and his son, Alexander,Virginia Commonwealth University graduate, headed to Tandag, Philippines on a prosthetic mission with the Montero Medical Mission. Here are highlights of their trip! To view more pictures click on this link: Montero Medical Missions- Tandag 2014. 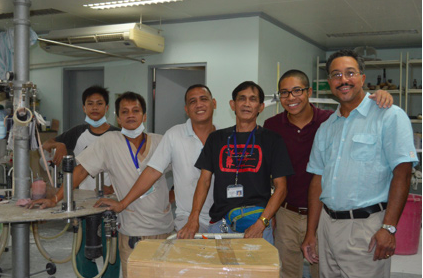 Read more about Montero Medical Missions on their website.